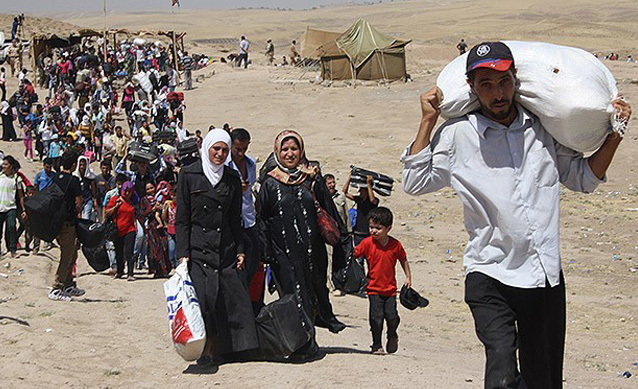 Saudi Arabia highlighted that it has contributed $700 million to support refugees. Saudi Arabia has defended its stance on Syrian refugees and said it has taken in around 2.5 million Syrians on religious and humanitarian grounds since the country’s conflict began. They also stated that hundreds of thousands have been offered residency following suggestions that oil-rich Gulf states have done nothing to help Syrian refugees. An unnamed official at the Foreign Ministry was quoted by the official Saudi Press Agency as saying the kingdom does not consider those it has taken in as refugees and does not house them in camps “in order to ensure their dignity and safety.” They said it was “important to clarify these efforts with facts and numbers in response to media reports, which included false and misleading accusations about the kingdom”. Saudi Arabia and the five other states that form the Gulf Cooperation Council (United Arab Emirates, Oman, Kuwait, Qatar and Bahrain) have not signed the UN convention on refugees, which governs international law on asylum. Saudi Arabia did not specify the exact number of Syrians who wished to stay in the country however noted that migrants that wanted to stay were granted full residency and the numbers are in the “hundreds of thousands”. The residency status allows Syrians access to work, schools and free state medical care. The statement also said Saudi public schools have accepted more than 100,000 Syrian students. The kingdom didn’t plan on releasing information on its efforts to aid Syrians and “did not wish to boast about its efforts or attempt to gain media coverage,” but felt compelled to disclose some figures after what it called “erroneous and misleading information” released about the country. Saudi Arabia’s statement underlined that the kingdom has provided $700 million to support Syrian refugees whilst also funding those outside of Syria including those living in Jordan and Lebanon. In a report earlier this week with the Associated Press, the United Arab Emirates also made a statement that it has provided residency permits to more than 100,000 Syrians who have entered the country since 2011. The country also said it currently houses 242,000 Syrian nationals in the UAE. The statement comes as Gulf Arab nations, who are key backers of rebels fighting to overthrow Bashar Assad, the President of Syria, have been criticised in recent weeks as Syrian refugees have flooded into the European Union.